Today is St. Patrick’s Day and most people use the excuse to “be Irish” for the day, drink heavily and listen to music they normally wouldn’t listen to. For me? It’s another day. 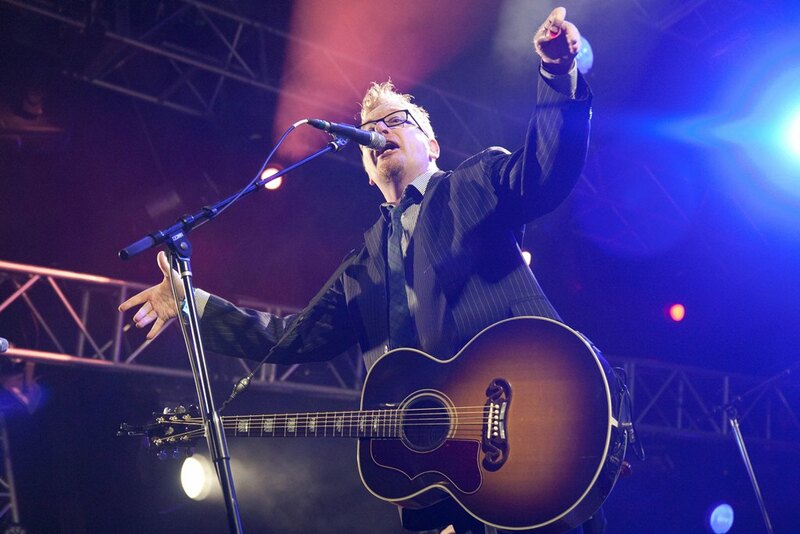 But this year I decided to celebrate with non-Irish beer, Canadian Whiskey and the Live DVD of one of my top 5 bands, Flogging Molly. Coming all the way from the Greek Theatre, a place a buddy of mine actually thought didn’t exist outside Get Him To the Greek, Flogging Molly does what they do best in this DVD/CD combo by putting on a great show, with a fun attitude, great music, showmanship and a dedication to music their fans have come to know them for. Shot in 2010, the show features a great combo of older and newer material including the great kick off duo of The Likes Of You Again and Swagger. In true “Irish” fashion, lead singer Dave King drinks through out the entire show (Guinness of course) and as the show progresses, his speech between songs slurs and his stories grow a bit more long, but never does it seem tiresome or over bearing. The band has been together since 1997 and it shows. Sometimes you watch a band and wonder if they even get a long, watching Flogging Molly you realize these guys love each other and the music they’re playing. 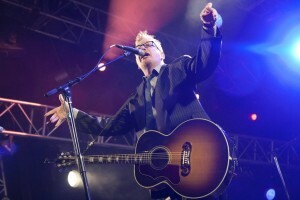 Dave King, lead singer of Flogging Molly. 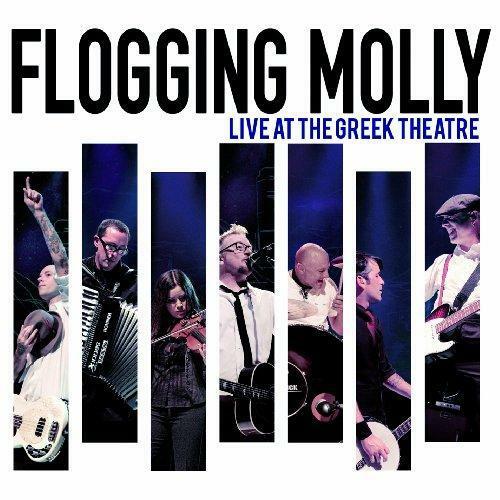 So this St. Patty’s Day, drink your Jameson, wear your green, and crank up the Flogging Molly, Live At The Greek Theatre. The combo DVD/CD is available in stores, and while digital download may be easier tonight for many of you, the DVD really is worth the buy. Nothing beats a live band, but this DVD damn sure comes close!